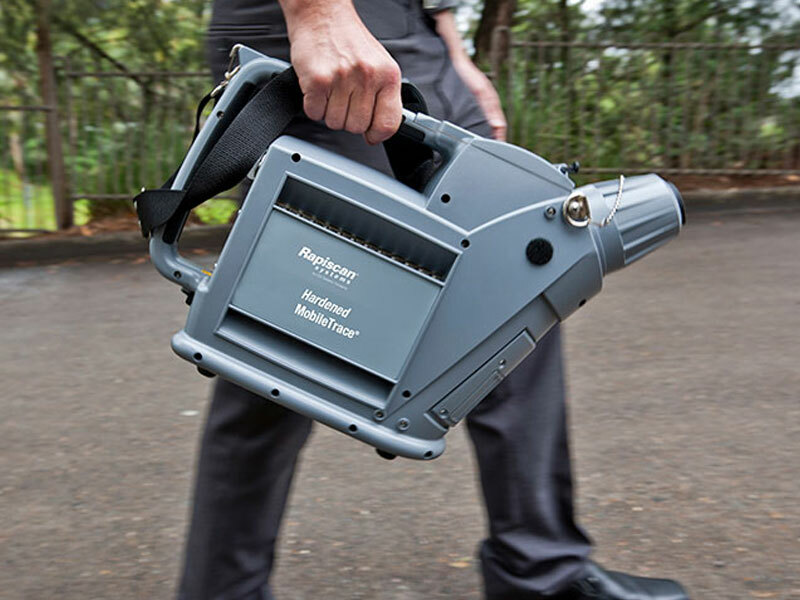 Hardened MobileTrace® is built around a core of field-proven explosives and narcotics detection technologies, and designed for the challenging environments in which you work. Hardened MobileTrace® has been tested to military and government standards and has expanded capabilities for detecting chemical warfare agents (CWAs) and toxic industrial chemicals (TICs). We understand the missions are different every time and the encountered environments are tough and unpredictable. Hardened MobileTrace® can help to enhance the safety and success of the mission by screening for explosives, narcotics and other threats, that might otherwise go undetected. Hardened MobileTrace® was designed to make advanced detection technology easy to use in the field. It is a highly portable and lightweight unit equipped with a daylight-readable touch screen for clear and immediate viewing in all lighting conditions. 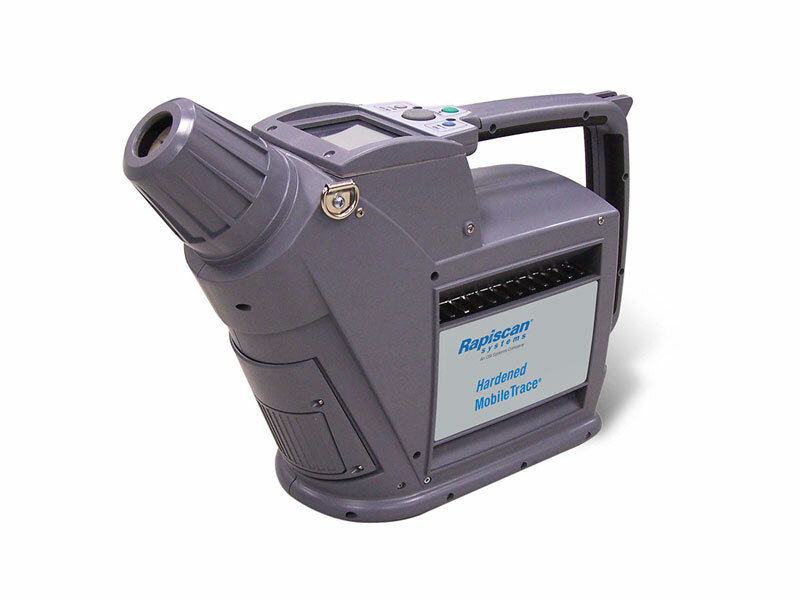 It offers simple software and instructions found common in the user interface across many of Rapiscan® Systems trace detectors. Temperatures range: -20°C to 55°C (-4°F to 131°F). Humidity range: 0-95% RH non-condensing. Two batteries for up to 7.5 hours of operation. Internal backup batteries for “hot swap” ability. Tested and verified at government and third-party labs. CWAS library: blood, blister, nerve. TICs library: chlorides, cyanides, acids and ammonias. Daylight readable touch screen (800 NIT). Simple user interface and intuitive menus. E-mail, and field service engineer technical support and troubleshooting 24/7. Ergonomically designed for PPE operation. Results verified at third-party laboratories.